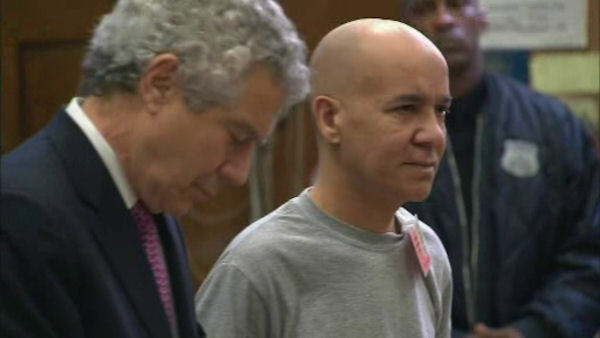 NEW YORK (WABC) -- Jury selection has been set for the new trial of the man accused of killing 6-year-old Etan Patz. Pedro Hernandez appeared in a Manhattan court Monday morning, nearly three months after a judge declared a mistrial in the his case because of a hung jury. The next court date for control is Dec. 2, and jury selection is currently set for Feb. 22, 2016. Hernandez confessed to strangling Patz in Soho in 1979. Attorneys for Hernandez argued he is mentally ill and his confession was coerced by police. Hernandez's first trial ended with a hung jury in May. The 54-year-old confessed in 2012 and told several people over the years he had harmed a child in New York, but defense attorneys brought evidence that Hernandez was mentally ill and his confessions were fictional ravings. The previous jury voted 11-1 in favor of convicting Hernandez of murder, but the lone holdout, Adam Sirois, said he was concerned about Hernandez's mental state. A veteran prosecutor will take over the case after the hung jury, and a number of jurors from the first trial were on hand for the announcement. Six former jurors and alternate came back to the courtroom where they spent the last five months, this time to show their support to new prosecutor Joel Seidmann, who will retry the case. They were also there for the Patz family. "We really wanted to refocus our energy into something positive," juror Jennifer O'Connor said. "Turn it back to Etan, back to the Patz family, and that's what they are doing here today." Sirois also appeared at the short procedural hearing. "I think it's the right decision, because it was so contentious," he said. "But I do think it's difficult to have a fair trial in the city." Patz disappeared 33 years ago on his way to school. Two years ago, Hernandez was turned into police by a family member and then confessed to murdering the boy and disposing of his body in the trash. Stan Patz, Etan's father, who sat through the previous 10 week trial and long deliberations, returned to the court to see the process once again. He did not stop to share his feelings, but some of the jurors are still very emotional. "Eleven of us voted guilty," said Alia Dahhan, who served as the foreperson. "Really, what more is there to explain? Enough is enough. Pedro Hernandez needs to pay for what he did to Etan. It's very simple." "Most of them were just honest about their opinions," Sirois said. "And they have a right to their opinion."